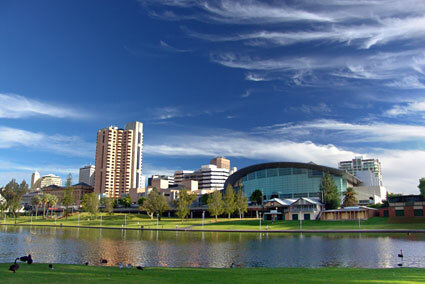 Adelaide, the capital of South Australia, is home to around 1.2 million people. A diverse range of landscapes surround the city, including green parklands, the Mount Lofty Ranges and coastal beaches. Referred to as the wine and festival capital of Australia, Adelaide is a great place to experience the culture and convenience of a nice sized city without many of the frustrations of a larger city. Adelaide is surrounded by parklands, together with a range of historic buildings, wide streets, various street cafes and restaurants and shops of all descriptions. Adelaide has a diverse cultural mix that guarantees the food is sensational. Accommodation is competitively priced. Adelaide is famous for its many Festivals, Adelaide Festival, Adelaide Fringe and WOMADelaide (to name just three events). Sports’ fans will love the award-winning Santos Tour Down Under and Clipsal 500 V8 car race. March is event season when the weather in Adelaide is at its best. Adelaide’s city centre has been well planned and is made up of a grid of streets and various squares. Being only one mile square makes it extremely accessible. The main street (King William Street) runs directly from north to south of the city through Victoria Square, which is at the heart of the city. Salford College can assist students to find suitable accommodation at their request. The Student Services department advises students of their accommodation options and assists them in finding the most suitable accommodation. There is a noticeboard at the college with available student accommodation such as share accommodation. More information about accommodation or mail Salford college. Adelaide is one of the safest cities in Australia but it is still important to think about your safety. Police in Australia are friendly, helpful, have a duty to protect everyone and can always be safely approached. In an emergency – where there is a danger to life or a crime is in progress – you can contact the police, fire department or ambulance by dialling 000 from any telephone. This is a free call in emergencies only. Be careful when swimming in Australian waters. Some parts of the coast have powerful currents and tides; and shark attacks are rare but sometimes do occur. It is safest to swim at popular beaches. Patrolled beaches by lifeguards have signs and flags, always read the safety information. People under the age of 18 are not permitted to consume alcohol in public. If you buy alcohol, or are given it at a licensed premise, both you and the person selling are committing an offence. There are heavy penalties for people who ‘drink and drive’. The legal alcohol limit in South Australia is 0.05. There are severe penalties for illegal drug use or dealing drugs. Avoid being in any situation where illegal drugs are involved. It is an offence to lend, give or sell cigarettes or tobacco to anyone under 18 years of age. It is also illegal to buy cigarettes or tobacco for anyone under the age of 18. It is illegal to smoke in enclosed public areas. Anyone under the age of 18 is not allowed in a licensed entertainment venue after 9pm. You may need to provide proof of age to buy alcohol or enter a licensed venue. It is an offence to provide false identification. Adelaide prides itself on being a multicultural and tolerant society. In Australia it is generally illegal to discriminate against anyone based on gender, sexuality, marital status, pregnancy, race, physical or intellectual impairment or age. 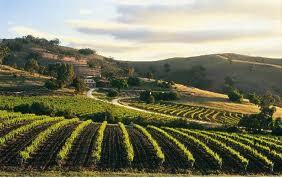 Adelaide’s Mediterranean climate creates perfect living conditions with hot dry summers and wet cold winters. It does not snow in Adelaide but it does get pretty cold and wet in winter. The nearby Southern Ocean ensures hot, dry summers and cool, mild winters. When Compared to other English speaking countries the costs of education and living in Australia are comparatively low. All tuition fees for international students who study in Australia are exempt from GST and are charged up-front, with some institutions making additional charges to cover other associated costs like sports facilities, laboratory costs, student organisation membership and library fees. In the Economist Intelligence Unit’s annual World Wide Cost of Living Survey, Adelaide regularly achieves an excellent ranking as one of the most affordable cities in Australia. Statistics show that it costs 24% more to live in Sydney, 21% more to live in Melbourne, 12% more to live in Perth and 8% more to live in Brisbane. When meeting someone for the first time, it is usual to shake the person’s right hand with your right hand. People who do not know each other generally do not kiss or hug when meeting. When you first meet someone, it is polite not to talk about personal matters. Many Australians look at the eyes of the people they are talking with. They consider this a sign of respect, and an indication that they are listening. Do not stare at the person for a long time. You can address a new acquaintance using their title and family name. You may use their first name when they ask you to or use it in the introduction. In the workplace and among friends, most Australians tend to be informal and call each other by their first names. The types of clothing that people wear reflect the diversity in our society just as much as the variation in climate. There are no laws or rules on clothing, but you must wear certain clothing for certain work situations. Most workplaces have dress standards. Outside of the work situation, clothing is an individual choice; many people dress for comfort, for the social situation or the weather. Clubs, movie theatres and other places require patrons to be in neat, clean clothes and appropriate footwear. 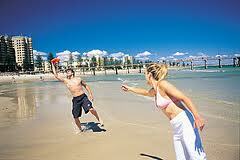 Many Australians live close to the beach and the sea. On hot days, they may wear little clothing on the beach and surrounds. This does not mean that people who dress to go to the beach or swimming have low moral standards. It means that this is what we accept on and near our beaches. People from other countries can choose to wear their national dress. They may be religious or customary items and include monks’ robe, a burqa, a hijab or a turban. As a tolerant society with people from many different cultures, clothing is a part of cultural beliefs and practices that is encouraged. ‘Please‘ and ‘thank you’ are words that are very helpful when dealing with other people, and buying goods or services. When asked if you would like something, like a cup of tea, it is polite to say, ‘Yes please’, or just ‘please’ if you would like it, or ‘no, thank you’ if you do not. When you receive something, it is polite to thank the person by saying ‘thank you’. Australians tend to think that people who do not say ‘please’ or ‘thank you’ are being rude. Using these words will help in building a good relationship. Sometimes a sensitive issue may come up in conversation. Not to talk may seem rude. It is more polite to say ‘sorry, it is too hard to explain’ than to ignore a question. Australians often say, ‘Excuse me’ to get a person’s attention and ‘sorry’ if we bump into them. We also say, ‘Excuse me’ or ‘pardon me’ if we burp or belch in public or a person’s home. You should always try to be on time for meetings and other visits. If you realise you are going to be late, try to contact the person to let them know. This is very important for visits to professionals as you may be charged money for being late or if you miss the appointment without notifying them before the appointment time. Most Australians blow their noses into a handkerchief or tissue, not onto the footpath. This is also true for spitting. Many people will also say, ‘Bless you’ when you sneeze. This phrase has no religious intent. Bring a plate – when you are invited to a party and asked to ‘bring a plate’, this means to bring a dish of food to share with your host and other guests. Take the food to the party in any type of dish, not just a plate, and it is usually ready to serve. This is common for communal gatherings such as for school, work or a club. If you are unsure what to bring, you can ask the host. BYO – when an invitation to a party says ‘BYO’, this means ‘bring your own’ drink. If you do not drink alcohol, it is acceptable to bring juice, soft drink or soda, or water. Some restaurants are BYO. You can bring your own wine to these, although there is usually a charge for providing and cleaning glasses called ‘corkage’. Arvo – This is short for afternoon. ‘Drop by this arvo,’ means please come and visit this afternoon. Fortnight – This term describes a period of two weeks. Barbeque, BBQ, barbie – outdoor cooking, usually of meat or seafood over a grill or hotplate using gas or coals. The host serves the meat with salads and bread rolls. It is common for a guest, when invited to a BBQ, to ask if they should bring anything. Snag – The raw type sausages usually cooked at a BBQ. They can be made of pork, beef or chicken. Ta – This term is used as a shortened thank you. Chook – The term chook means a chicken, usually a hen. Cuppa – a cup of tea or coffee ‘Drop by this arvo for a cuppa’ means please come and visit this afternoon for a cup of tea or coffee. To be crook – to be sick or ill.
Shout – to buy someone a drink. At a bar or a pub when a group of friends meet, it is usual for each person to ‘shout a round’, meaning buy everybody a drink. Each person takes a turn at buying a ’round’. It is also acceptable to say that you do not drink (alcohol) by saying that you are a ‘teetotaller’. This also means you are not obliged to shout. Bloke – a man. Sometimes if you ask for help, you may get an answer to ‘see that bloke over there’. How ya goin? ‘How are you going?’ means how are you, or how do you do? It does not mean what form of transport you are taking. Sometimes it can sound like ‘ow-ya-goin-mate’. What could I be invited to? If you get an invitation to lunch, dinner, barbeque, party, wedding, birthday, or any type of event you will usually respond with a letter or phone call. Themidday meal is called lunch, and the evening meal is called dinner or ‘tea’. ‘Tea’ can also mean a cup of tea or ‘cuppa’. If invited for tea, the time of the event is a good sign of whether your host means dinner or just a cup of tea. An invitation to tea, for anytime after6pm (1800 hours) usually means dinner. How are invitations made? Invitations can be written or spoken. Written ones usually ask for RSVP, (which is respondez s’il vous plait in French) and means please reply. You should reply whether you intend to go or not. The invitation will tell you how to reply and when the reply is expected. Your host may be specific about how many people are invited. If your host invites the whole family, you should tell your host how many people would go. Usually a family is the parents and their children. What if I do accept an invitation? When you accept an invitation to a meal, it is also usual to tell the host what you cannot eat. It is perfectly okay to say that you are a vegetarian and do not eat meat or that you are Muslim or Jewish and do not eat pork. It is not polite to arrive late and you should make a telephone call to your host to explain if you are going to be late. What if I cannot accept an invitation? You may not always be able to accept an invitation. The best way to refuse is to say, ‘thank you, unfortunately I/we have other plans at that time’. To say that you are too busy may seem extremely rude, even if it is true. Once you accept an invitation, you should only cancel if something arises where you cannot go. You should also explain the reason to your host. To cancel because you got a better invitation from somewhere else can seem very rude, and can affect new friendships. Sometimes it is best not to accept an invitation right away and to ask your host whether they would mind if you check your plans and reply to them later. Tipping is not generally expected or practiced in Australia. This is because throughoutAustralia, service industry staff are covered by minimum wage laws and therefore do not rely on tips for their income. However, it is acceptable to leave a small amount (perhaps 10%) should you feel you have received exceptional service. Australians hold certain days each year as special days of national meaning. We may recognise the day with a holiday for everyone or we can celebrate the day as a nation with special events. Most States and Territories observe some of the public holidays on the same date. They have others on different dates or have some days that only their State or Territory celebrates. In larger cities, most shops, restaurants and public transport continue to operate on public holidays. In smaller towns, most shops and restaurants close. Australians love to celebrate New Year. There are festivals, celebrations and parties all over the country to welcome in the New Year. SydneyHarbourand SydneyHarbourBridgehave become synonymous with New Year celebrations in Australiathe fireworks display is considered to be one of the best in the world. January 1 is a public holiday. Australia Day, January 26, is the day we as a people and place celebrate our nationhood. The day is a public holiday. The day marks the founding of the first settlement in our nation by European people. Easter commemorates the resurrection (return to life) of Jesus Christ following his death by crucifixion. It is the most significant event of the Christian calendar. In addition to its religious significance, Easter inAustraliais enjoyed as a four-day holiday weekend starting on Good Friday and ending on Easter Monday. This extra-long weekend is an opportunity for Australians to take a mini-holiday, or get together with family and friends. Easter often coincides with school holidays, so many people with school aged children incorporate Easter into a longer family holiday. Easter is the busiest time for domestic air travel inAustralia, and a very popular time for gatherings such as weddings and christenings. Shrove Tuesday or Pancake Day: Shrove Tuesday is the last day before Lent. In earlier days there were many foods that observant Christians would not eat during Lent such as meat and fish, eggs, and milky foods. So that no food was wasted, families would have a feast on the shroving Tuesday, and eat up all the foods that wouldn’t last the forty days of Lent without going off. Pancakes became associated with Shrove Tuesday because they were a dish that could use up perishable foodstuffs such as eggs, fats and milk, with just the addition of flour. Many Australian groups and communities make and share pancakes on Shrove Tuesday. Selling pancakes to raise money for charity is also a popular activity. Hot Cross Buns: Hot cross buns are sweet, spiced buns made with dried fruit and leavened with yeast. A cross, the symbol of Christ, is placed on top of the buns, either with pastry or a simple mixture of flour and water. The buns are traditionally eaten on Good Friday; however in Australia they are available in bakeries and stores many weeks before Easter. A recent variation on the traditional fruit bun has become popular inAustralia. A chocolate version is made with the same spiced mixture, but cocoa is added to the dough and chocolate chips replace the dried fruit. Easter Eggs: Eggs, symbolising new life, have long been associated with the Easter festival. Chocolate Easter eggs are a favourite part of Easter inAustralia. Some families and community groups organise Easter egg hunts for children in parks and recreational areas. Easter eggs are traditionally eaten on Easter Sunday, however stores start stocking Easter treats well before the Easter holiday period. The Easter Bunny: Early on Easter Sunday morning, the Easter Bunny ‘delivers’ chocolate Easter eggs to children inAustralia, as he does in many parts of the world. The rabbit and the hare have long been associated with fertility, and have therefore been associated with spring and spring festivals. The rabbit as a symbol of Easter seems to have originated inGermanywhere it was first recorded in writings in the 16th century. The first edible Easter bunnies, made from sugared pastry, were made inGermanyin the 19th century. Anzac Day is on April 25 the day the Australian and New Zealand Army Corps (ANZAC) landed at Gallipoli in Turkey in 1915 during World War 1. This day is set apart to hold dear the memory of those who fought for our nation and those who lost their life to war. The day is a public holiday. We remember with ceremonies, wreath laying and military parades. You will find that many towns have an ANZAC Day parade and ceremony culminating in the laying of memorial wreaths at a monument or war memorial. These services can be very moving and a wonderful way of experiencing some Australian National pride, as the memories of our fallen soldiers are commemorated. Many Australians attend the National War Memorial in Canberra, or a War Memorial in one of the Capital Cities around Australia for either the traditional “Dawn Service”, which commemorates the landing of the ANZACS at Gallipoli in the dark and dawning of that day, or another service usually commencing around mid-morning with a parade of returned armed forces representing all Australians who have fought in war. AsAustralia is such a multi-cultural country, these days it is common to see many other countries also represented in these parades. ANZAC Day is the only day of the year where it may also be possible to attend an RSL (Returned Servicemen’s League) Club to experience a traditional game of “TWO-UP”. A game of chance played by the ANZACS where money is waged on the toss of three coins for a resulting combination of 2 out of 3 being either heads or tails. RSL clubs are crammed with returned soldiers and their families and friends on this day, the atmosphere are one of “mate-ship” and friendliness to all and the experience of a game of two-up is a memorable one. Labour Day is celebrated on different dates throughout Australia. As elsewhere in the world, Labor Day originated inAustraliaas a means of giving ‘working people’ a day off and recognising the roots of trade unionist movements and workers’ rights. The Queen’s Birthday holiday celebrates the birthday of Queen Elizabeth II who is not only Queen of the United Kingdom but also Queen of Australia. Having the Queen’s Birthday on a Monday, results in a three-day long weekend. Christmas is celebrated inAustraliaon 25 December. Christmas is the celebration of the birth of Jesus Christ. Christians believe that Jesus is ‘the son of God’, the Messiah sent from Heaven to save the world. The heat of early summer in Australia has an impact on the way that Australians celebrate Christmas and our English heritage also has an impact on some northern hemisphere Christmas traditions which are followed. In the weeks leading up to Christmas houses are decorated; greetings cards sent out; carols sung; Christmas trees installed in homes, schools and public places; and children delight in anticipating a visit from Santa Claus. On Christmas Day family and friends gather to exchange gifts and enjoy special Christmas food. Australians are as likely to eat freshly caught seafood outdoors at a barbecue, as to have a traditional roast dinner around a dining table. Many Australians spend Christmas out of doors, going to the beach for the day, or heading to camping grounds for a longer break over the Christmas holiday period. There are often places which have developed an international reputation for overseas visitors to spend Christmas Day in Australia. One such example is for visitors who are in Sydney at Christmas time to go to Bondi Beach where up to 40,000 people visit on Christmas Day. Carols by Candlelight have become a huge Christmas tradition inAustralia. Carols by Candlelight events today range from huge gatherings, which are televised live throughout the country, to smaller local community and church events. Adelaide’s public transport system includes buses, trains and trams and all of this can get you to the far reaches of the city. You’ll find everything you need to know about Adelaide’s public transport including timetables and route maps at the Adelaide Metro website. Alternatively, pop into the Passenger Information Centre at 79 King William Street in the heart of Adelaide or phone +61 8 8210 1000. First buy a ticket and then validate it by inserting your ticket into the validating machine. Keep your ticket until the journey has ended and remember to validate the ticket on every journey (you could be fined it you don’t). These can be purchased from the driver on all buses and conductors on the trams. They can also be purchased using vending machines on trains. A single trip is valid for two hours and can be used as many times as you like within this period. A day trip ticket lasts for one day. These save you money by giving you 10 trips for the price of seven. Multi-trip tickets are not available on vehicles but can be purchased from the Passenger Transport Information Centre, selected post offices, service stations, newsagents, convenience stores and the Adelaide Railway Station. All local and international students are entitled to a concession when buying tickets. You will need to show your student identification card to gain a concession and ensure you have your student card on you during your journey, as on-board inspectors may ask to see it. Copyright © Salford College. All rights reserved.